Make sure the tray always has around 1/4 inch of nutrient rich water from your system in it. You may have to top it up once or twice due to evaporation. To ensure your seedlings have strong roots, you should also supplement the nutrient solution with phospherous. Within 48 hours you should see germination. Once they germinate, you need to make sure they're getting light. They will be leggy if they don't get enough light right away. 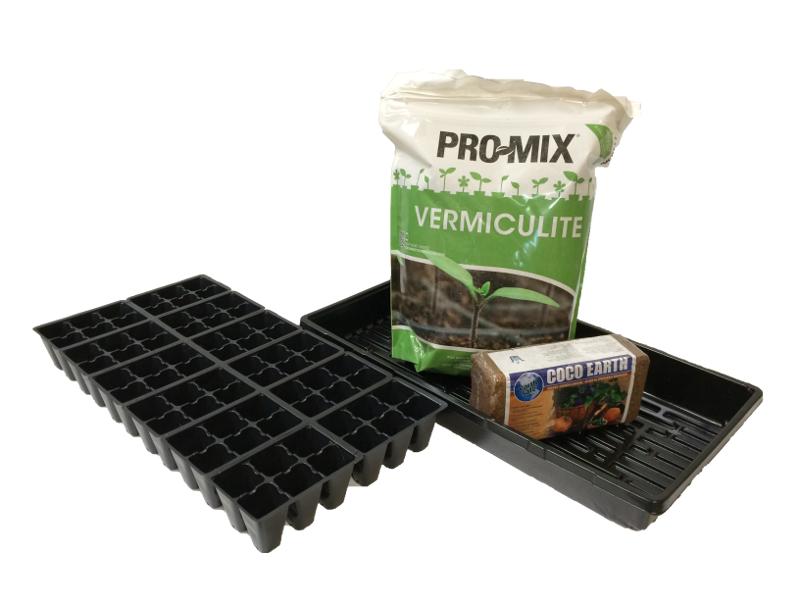 When the third leaf appears (the first 2 leaves are the cotyledons or embryonic leaves) the seedlings will need nutrients, so make sure the tray has nutrient rich water from your system in it.